Adrian Constantine Anson (April 17, 1852 – April 14, 1922), nicknamed "Cap" (for "Captain") and "Pop", was a Major League Baseball (MLB) first baseman. Including his time in the National Association (NA), he played a record 27 consecutive seasons. Anson was regarded as one of the greatest players of his era and one of the first superstars of the game. Anson spent most of his career with the Chicago Cubs franchise (then known as the "White Stockings" and later the "Colts"), serving as the club's manager, first baseman and, later in his tenure, minority owner. He led the team to five National League pennants in the 1880s. Anson was one of baseball's first great hitters, and probably the first to tally over 3,000 career hits. His contemporary influence and prestige are regarded by historians as playing a major role in establishing the racial segregation in professional baseball that persisted until the late 1940s. A 2006 biography of Anson that exhaustively examined 19th-century newspaper reporting related to him on the subject of racism reached the following conclusion: "As far as the nineteenth century, he rightfully should endure as the big leaguer who, until the late 1940s, was involved in the greatest number of reported negative incidents, on the field, relating to blacks." On several occasions, Anson refused to take the field when the opposing roster included black players. The biography states, "But at the same time, his argumentative nature could be readily discounted by those around him. So, the notion that he had 'coattails' in persuading players and officials on other teams to do as he did is rather spurious." A lengthy 2016 essay by the same author focused on claims of Anson’s alleged influence on the most noted vote in 19th-century professional baseball in favor of segregation: a July 14, 1887 one by the high-minor International League to ban the signing of new contracts with black players; the essay showed a range of authors as not having observed the line between fact and speculation on that alleged influence. Anson played on a number of competitive baseball clubs in his youth and began to play professionally in the National Association (NA) at the age of 19, playing primarily 3rd Base for the Rockford Forest Citys, one of the original teams of the Association. He was a large and powerful man, standing 6'2" tall and weighing about 220 pounds. 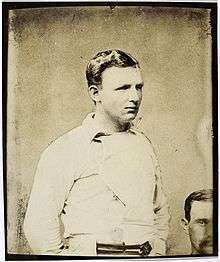 After being traded to Philadelphia Athletics, in 1872 and 1873, Anson finished in the NA's top five in batting, on-base percentage (OBP), and on-base plus slugging (OPS). He led the NA in OBP in 1872. His numbers declined slightly in 1874 and 1875, but he was still good enough that Chicago White Stockings secretary-turned-president William Hulbert sought him to improve his club for the 1876 season. Hulbert broke league rules by negotiating with Anson and several other stars while the 1875 season was still in progress and ultimately founded the new National League to forestall any disciplinary action. Anson, who had become engaged to a Philadelphia native in the meantime, had second thoughts about going west, but Hulbert held Anson to his contract and he eventually warmed to the Windy City. The other controversy over Anson's total hits had to do with his five years in the National Association. Neither the Macmillan Encyclopedia editions nor MLB itself at that time recognized the NA as being a true major league. MLB.com does not count Anson's time in the NA in his statistics, but tallies his NL total as 3,011 hits. This places Anson 25th on the all-time list. Other sources credit Anson with a different number of hits, largely because scoring and record keeping was haphazard in baseball until well into the 20th century. Beginning with the publication of the Baseball Encyclopedia, statisticians have continually found errors and have adjusted career totals accordingly. According to the Sporting News baseball record book, which does not take NA statistics into account, Anson had 3,012 hits over his career. Baseball Reference also credits Anson with 3,012 hits during his NL career; including his time in the NA, Anson is credited with 3,435 hits. The National Baseball Hall of Fame, which uses statistics verified by the Elias Sports Bureau, credits Anson with 3,081 hits. This figure disregards games played in the NA, but includes the walks earned during 1887 as hits. 1 2 3 4 5 6 7 8 9 10 11 12 13 14 15 16 17 18 19 20 21 22 23 24 25 26 27 28 29 30 31 32 33 34 Fleitz, David L. (2005). Cap Anson: The Grand Old Man of Baseball. Jefferson, N.C: McFarland & Company. p. 346. ISBN 0-7864-2238-6. 1 2 "Cap Anson's Hitting Stats". National Baseball Hall of Fame. Archived from the original on 2007-04-07. Retrieved 2007-06-05. 1 2 3 4 5 Fleitz, David L. "Cap Anson". Society for American Baseball Research Baseball Biography Project. Retrieved January 22, 2008. 1 2 3 4 5 6 7 8 9 10 11 12 Pietrusza, David; Matthew Silverman; Gershman, Michael (2000). Baseball: The Biographical Encyclopedia. New York: Total Sports. pp. 29–31. ISBN 1-892129-34-5. ↑ Moses Fleetwood Walker is generally considered the first African-American to play in Major Leagues, in 1884 for Toledo in the then-major American Association, although the first black player is now sometimes considered to be a recently discovered one, William Edward White, who played in a single game in 1879 in the National League and who apparently passed for being white. 1 2 "Cap Chronicled — Chapter 1: The First Son". Retrieved 2008-01-22. 1 2 "Baseball-Reference.com: Cap Anson". ↑ "Capt. Anson," St. Louis Post-Dispatch, May 5, 1886, pg. 5. ↑ "William Hulbert". BaseballLibrary.com. Archived from the original on 2005-12-11. Retrieved 2008-01-22. ↑ "Cap Chronicled — Chapter 2: A Ballplayer is Born". Retrieved 2008-01-22. 1 2 3 4 5 6 7 8 9 10 11 12 13 14 15 16 17 18 Golenbock, Peter (1997). Wrigleyville: A Magical History Tour of the Chicago Cubs. New York: St. Martin's Griffin. pp. 20–90. ISBN 0-312-15699-5. ↑ Gold, Eddie; Art Ahrens (1985). The Golden Era Cubs: 1876–1940. Bonus Books. p. 2. ISBN 0-931028-66-3. ↑ "Chicago Defeated Again" (PDF). The New York Times. June 14, 1891. p. 3. ↑ "Cap Chronicled — Chapter 4: Cap's Great Shame — Racial Intolerance". Retrieved 2008-01-22. ↑ Rosenberg. Cap Anson 4: Bigger Than Babe Ruth: Captain Anson of Chicago. , p. 424-425. ↑ Rosenberg. Cap Anson 4. , p. 424. ↑ Rosenberg. Cap Anson 4. , p. 436-437. ↑ Rosenberg. Cap Anson 4. , p. 5. ↑ Rosenberg. Cap Anson 4. , p. 6. ↑ Rosenberg. Cap Anson 2: The Theatrical and Kingly Mike Kelly: U.S. Team Sport's First Media Sensation and Baseball's Original Casey at the Bat. Arlington, Virginia: Tile Books, 2004. ISBN 0-9725574-0-7. , pp. 321-352. 1 2 Merkin, Scott (July 27, 2007). "Complex Anson a legend of baseball". Major League Baseball. Retrieved 2008-01-05. ↑ Schwarz, Alan (2005). The Numbers Game: Baseball's Lifelong Fascination With Statistics. Macmillan. pp. 99–103. ISBN 0-312-32222-4. ↑ "2007 Complete Baseball Record Book — Career Milestones" (PDF). Sporting News. Archived from the original (PDF) on 2007-06-22. Retrieved 2007-06-05. 1 2 "Cap Chronicled — Chapter 5: Saloons & Stages — Life after Baseball". Retrieved 2008-01-22. 1 2 3 "CapAnson.com — Timeline". Retrieved 2008-01-22. ↑ Rosenberg. Cap Anson 4. , p. 35, quoting both the St. Louis Post-Dispatch, April 24, 1900 and the New York Times, June 2, 1900. 1 2 3 4 Mark Lamster (2006). Spalding's World Tour: The Epic Adventure that Took Baseball Around the Globe — And Made It America's Game. New York: PublicAffairs. ISBN 1-58648-311-0. ↑ "'Pop' Anson, Famed in Baseball, Dead. Grand Old Man' of the Diamond Succumbs Two Days Before Seventieth Birthday. Anson Filled First Professional Engagement in 1873 and Played Until Retirement in 1897". New York Times. Adrian C. ("Pop") Anson, 'the Grand Old Man of Baseball,' died this afternoon in St. Luke's Hospital, two days before his seventieth birthday. Stricken Sunday with a glandular ailment while out walking, he was rushed to the hospital and operated on the next day. ↑ "Adrian Constantine "Cap" Anson". FindAGrave.com. Retrieved 2008-01-22. ↑ "Chicago Cubs Hitting Stats, Career All Time". Major League Baseball. Retrieved 2008-01-24. ↑ "Chicago Cubs Fielding Stats, Career All Time". Major League Baseball. Retrieved 2008-01-25.